Rewinding to the years gone by tying the nuptial knot was but a simple affair. The bride was dressed in a dazzlingly simple saree with flowers adorning her hair and a touch of make up highlighted her beauty and her cheeks were blushed with innocence. She was all ready for the special day than. Time flies. Lifestyles change and today she demands more. Putting together a wedding is no walk in the park today. The bride has the much-needed alibi to groom herself for the all-important day. Each of the detail demands much attention, dedication and creativity. Bringing a unique touch and fairytale aspect to a wedding is in the hands of many of the individuals who aid the bride in making her big day a day to remember. Event Media has gained fame for being in the forefront in showcasing weddings in a unique and creative manner. The team is behind the success of TV Derana’s ‘Derana Vivaha’ wedding programme. They are also the team which holds the first bridal fashion show and exhibition every year. With five years of experience of holding the bridal show and exhibition and 500 ‘Derana Vivaha’ programmes under their belt the team attempts to turn another page in history when they will showcase the most brides in a bridal fashion show this year. They hope to break the Guinness World Record of showcasing the most brides in a bridal fashion show today (January 2) at the BMICH. “The existing record was set in 2011 in Paris, France. 54 brides have been showcased in the fashion show held in the French capital. 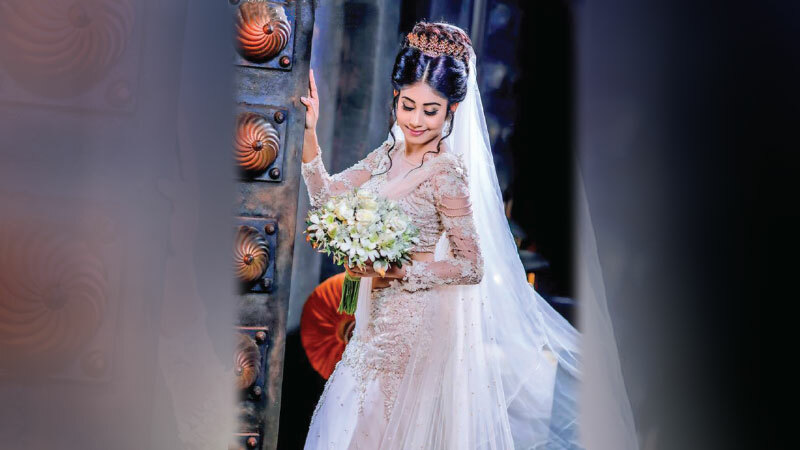 We hope to break that record by exhibition the most number of real brides at a bridal fashion show,” ‘Derana Vivaha’ programme director Nirosha Priyadharshani said. She adds that there are certain guidelines which have been given by the Guinness World record authorities for them to follow. They are not allowed to use models as the brides. They need to select brides who have wed during the past three months. Therefore those who have registered their marriage between October 2, 2018 and January 2, 2019, are eligible for the event. Around 100 beauticians have joined hands for the event. The brides can be styled in any way they want. All those who will take part in the event will be given a certificate for taking part in the event.